THERE may be a new kid on the block in the shape of the Queensferry Crossing but it is hard to get away from the impact the Forth Road Bridge had when it opened. Scotland’s roads network hadn’t kept pace with the soaring number of families owning their own cars. 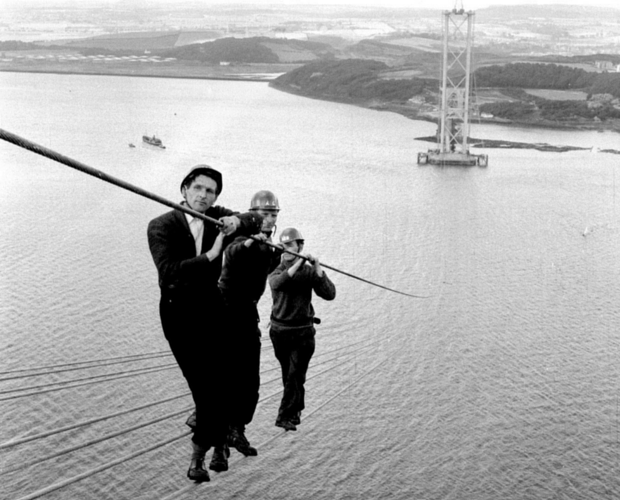 So when construction on the £19.5 million suspension bridge got under way in 1958 it promised welcome relief for motorists who watched from the lengthy queues for ferries across the firth. Almost 40,000 tonnes of steel went into its construction but when grand opening day came it was almost missed by the tens of thousands gathered to see the Queen conduct the official unveiling. This was because the Forth’s infamous fog had descended. Visibility was as little as eight yards in South Queensferry. Those watching at home fared even worse – all they could see was grey mist on black and white TVs! An RAF fly-past was also cancelled. But eventually the sun peeked through and the Queen took to the stage to open this modern engineering marvel. All at once, travel in the east of the country became easy. The bridge, which saw its tolls removed in 2008, had an predicted lifespan of 120 years, but the sheer volume of traffic it has carried over the years has dramatically shortened this. 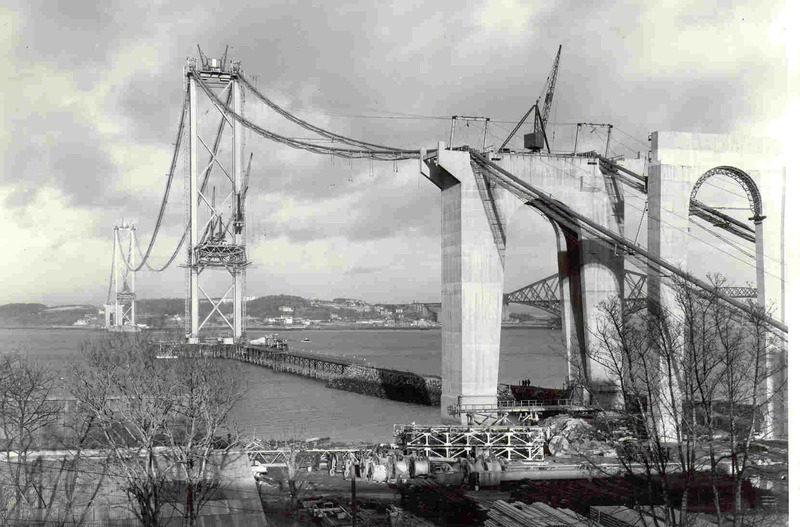 The Queensferry Crossing will open next year but there is life in the old lady yet. The Forth Road Bridge is to become a public transport-only corridor across the river.